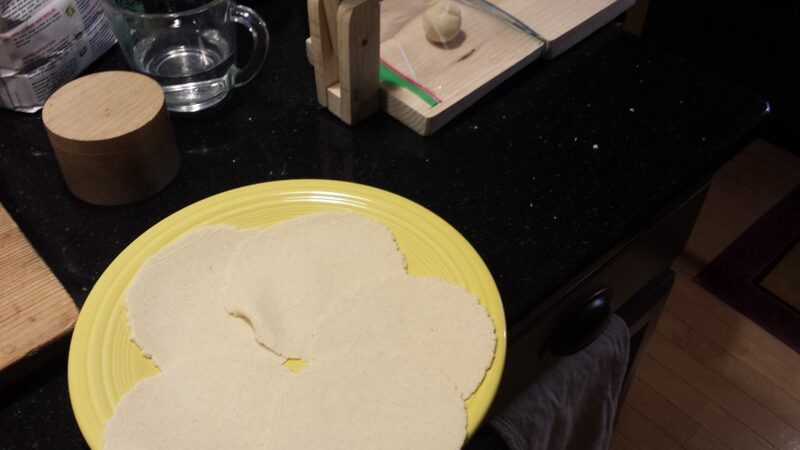 A while back, when I was making empanadas, my friend Jessica let me borrow her tortilla press. This makes things some much easier. Well her mother was coming to visit from Mexico so I had to return the press. But Jessica had her mother bring me one from Mexico so I had to try it out and make some tortillas! 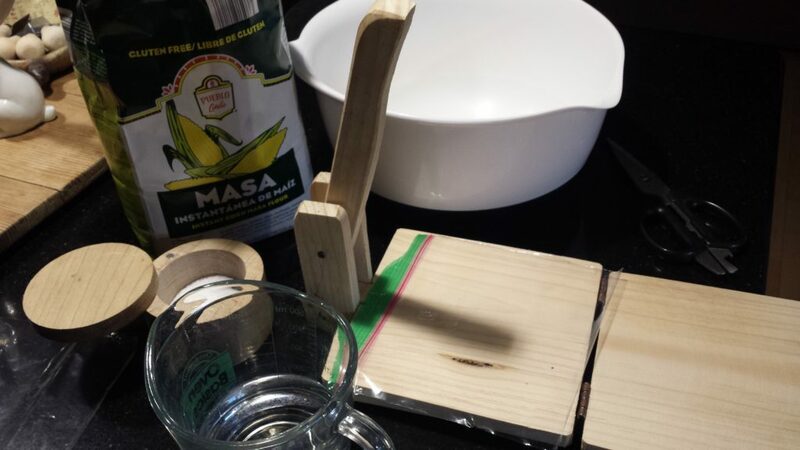 I love the new press – looks handmade and is made out of wood. The first run was a success. 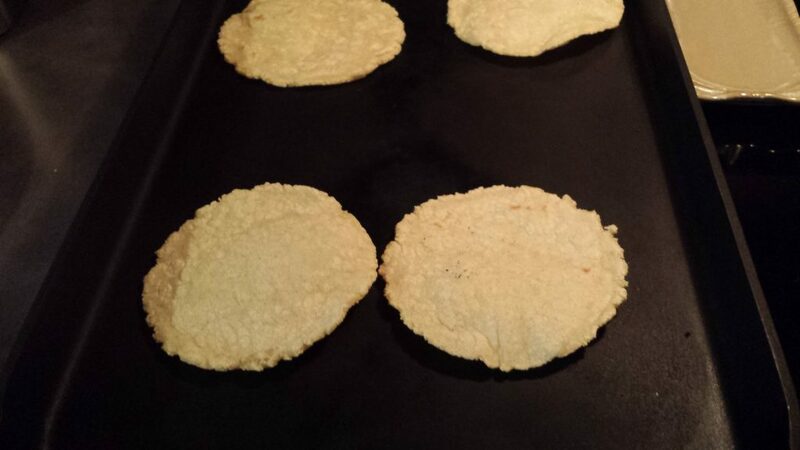 I found that tortillas are really easy to make and taste really good. You just need some good Masa, salt and warm water to make the dough. I am ready to go! 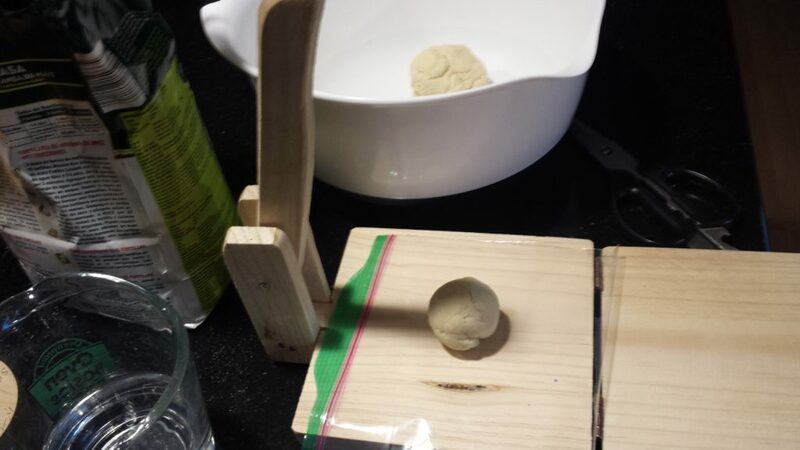 Once the dough is ready, pinch some off and roll into a ball. To keep your press clean, cut a baggie in half. Place half on the base, top with dough and place other half on top of the dough. Now just press. 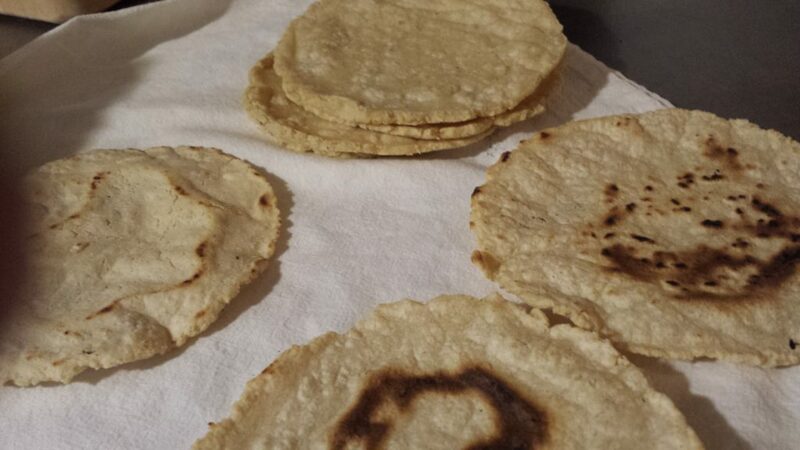 (I learned this trick from Jessica) Having a press allows you to make tortillas quickly! I just did a batch of 8 but they were pressed and ready to heat up in now time. To cook just heat a griddle over high heat (450 degrees) and cook for 20 seconds and flip. Continue this until done. The tortilla will start to brown. Remove to a plate and continue. You can store the tortillas in the fridge for a week. To reheat I just wrap in paper towels and microwave. I made a breakfast tortilla with this batch. 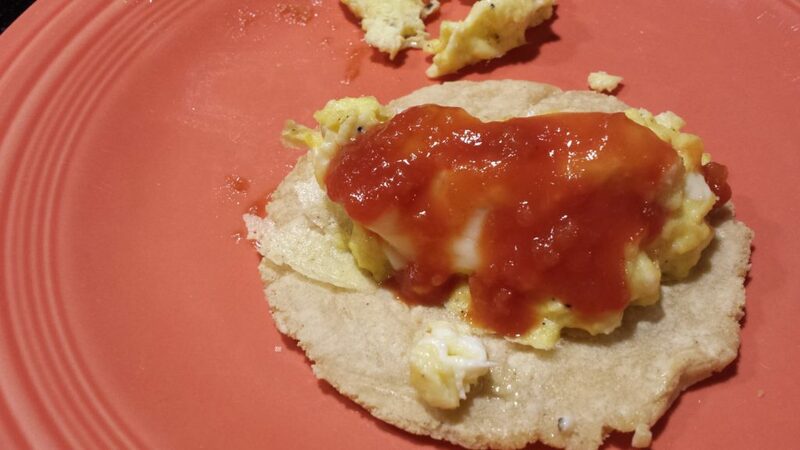 Scrambled eggs, cheese and salsa. A simple but tasty supper. Cheers!